Wondering when this year’s Steam Summer Sale is going to kick off? Us too. The Summer Sale always offers plenty of wallet-drainingly good deals, and as July creeps ever-onward, more than a few of us have been wondering when the 2013 edition might kick off. 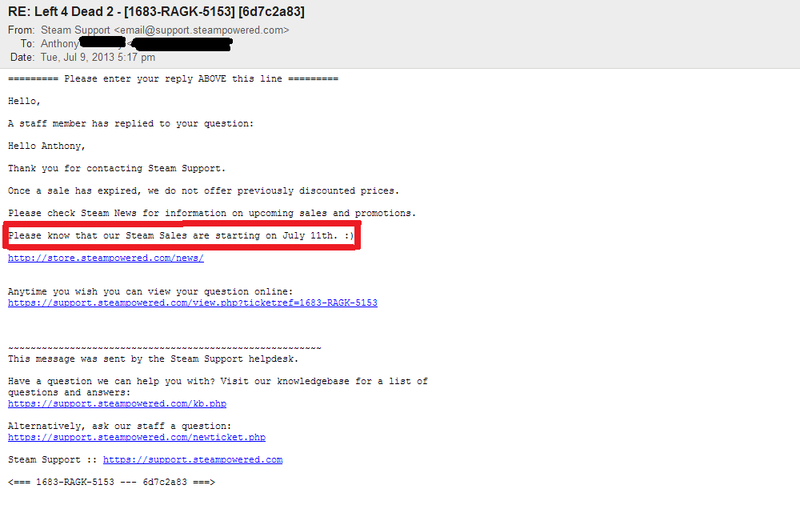 Now, thanks to reddit user ampish, we have confirmation of the sale’s start date: July 11. Check out the full body of the email here, and get ready to wear a big fat grin on your face. It’s spendin’ time.